When you do a web-search on the “best things to do in St. Augustine,” you might notice a couple of the same attractions show up. You’ll typically hear about Castillo de San Marcos National Monument, the Lightner Museum, and Anastasia State Park. While all of these things are fantastic attractions that are definitely worth the price of admission, you might enjoy experiencing some of the best things to do off the beaten path in St. Augustine. Check out our picks for the best hidden things to do in St. Augustine! We’ve listed plenty of great attractions below, but there’s so much more to discover! 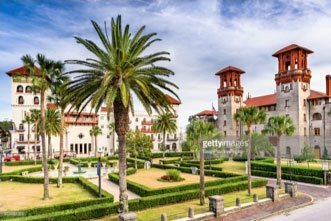 Access our free online Vacation Guide to get a full list of our St. Augustine, Florida, secrets! This local’s guide to the city will help you plan your trip in no time. Everything on this guide was hand-picked by our staff, many of whom have been living in St. Augustine for decades! Let our Vacation Guide assist you in creating the ultimate getaway to the Nation’s Oldest City. We’ve listed the best non-touristy things to do in St. Augustine. St. Augustine is home to some fantastic, large art galleries and museums. If you’d prefer a quiet, more intimate experience, Metalartz Gallery is just the place! They have been in business for 13 years and feature both local and national artists. You’ll be able to tour through the incredible paintings, metal art, glassworks, and more during your visit. Pick up a souvenir for yourself or someone at home! 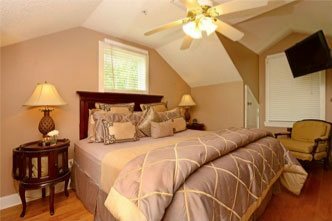 The gallery is just a three-minute walk from Agustin Inn. Plenty of new visitors have heard of St. George Street in St. Augustine. This pedestrian-only thoroughfare features some of the best shops in town. If you want to escape the crowd, however, you should head over to Charlotte Street. It’s just a short walk from Charlotte Street (and Agustin Inn) and houses some great gift shops, coffee shops, and quirky attractions like the next item on our list! When it comes to the spooky, the strange, or the paranormal, Wolf’s Museum of Mystery is the place to be! Many of the items on display are rare and have been collected from all over the world. From Mayan artifacts to possible alien If you thought that Ripley’s Believe it or Not was a little too tame, then Wolf’s Museum of Mystery is the perfect place for you! Wolf’s Museum of Mystery is just a two-minute walk from Agustin Inn. If the name “Relampago Coffee Lab” makes you think of cutting-edge brews and delicious, experimental drinks, you’re right on the money. This incredible shop roasts the beans in small batches, constantly experimenting and playing to create the best possible product. Enjoy their fantastic menu of coffee drinks, nitro cold brew, craft sodas, and kombucha. This shop is just a four-minute walk from Agustin Inn. For an upscale twist on Southern cuisine, visit Floridian Restaurant. This seasonal menu features classic dishes, like fried green tomatoes or po’ boys, but make them elegant with fresh, local ingredients. Floridian Restaurant also has a fantastic cocktail menu, with creative and fun drinks. The Floridian Restaurant is just a four-minute walk from Agustin Inn. Located on Charlotte Street, just a three-minute walk from Agustin Inn, is La Pentola Restaurant. This upscale eatery features an interesting mix of pastas, seafood, and wild game. Their chef, Chef Talavera, is from Guadalajara, Mexico, and specializes in Mediterranean and Latin Fine Cuisine. Enjoy everything from classic French dishes like Duck a L’orange or Mexican fare, like tostadas. They also feature a wonderful wine list and some truly scrumptious desserts. 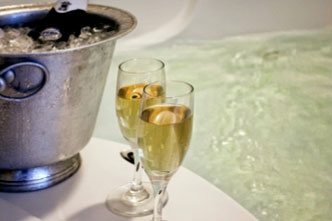 Where’s the best place to stay when you’re exploring these off the beaten path attractions in St. Augustine? Agustin Inn, of course! 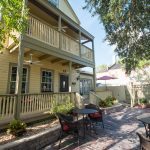 Our fantastic bed and breakfast is centrally located in downtown St. Augustine and is within walking distance to the best attractions, restaurants, and shops in town. 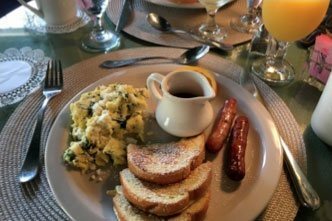 Add to that a delicious breakfast, gorgeous guest rooms, and fantastic amenities, and it’s no wonder that Agustin Inn has been the chosen b&b for so many guests.